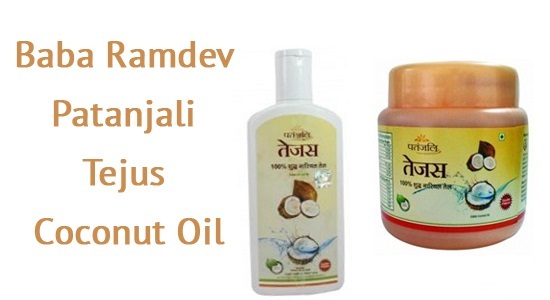 I was tired of trying various hair oils for hair fall and dandruff. Finally, based on recommendations made by a friend I bought Patanjali Tejus Coconut Oil. Here is the complete review of the product based on my experience. Double filtered coconut oil without any preservatives. The Patanjali Tejus Coconut oil comes in a plastic bottle with a flip flop lock. It is not a travel friendly packaging and could be made more interesting. The new packaging is in a tub which is also very inconvenient to use. It is only easy to use in winters otherwise it is quite messy. The moment I opened the bottle, the aroma of coconut guaranteed the quality of the product. It is 100% edible oil which also suggests its purity. The consistency is nice enough to apply on hair and it is not very sticky. I applied this oil on a Sunday morning for about 3 hours and then washed it with a shampoo. My hair felt smooth, nice and conditioned. The oil was washed off quite easily without leaving any stickiness. I started using this oil 2-3 times a week, every time before the head wash. I have been using it for 2 months now. I have felt that my hair fall has reduced remarkably and the texture of my hair has also improved. I found this oil a great deal because it really controlled my hair fall and also reduced the problem of dandruff and itchy scalp. It contains oil of mature coconuts. Available just at the Patanjali stores. This oil is a definite try for those suffering from hair fall and those with frizzy and unmanageable hair. It deeply nourishes your hair and makes them smooth. At this price, it is a great deal.